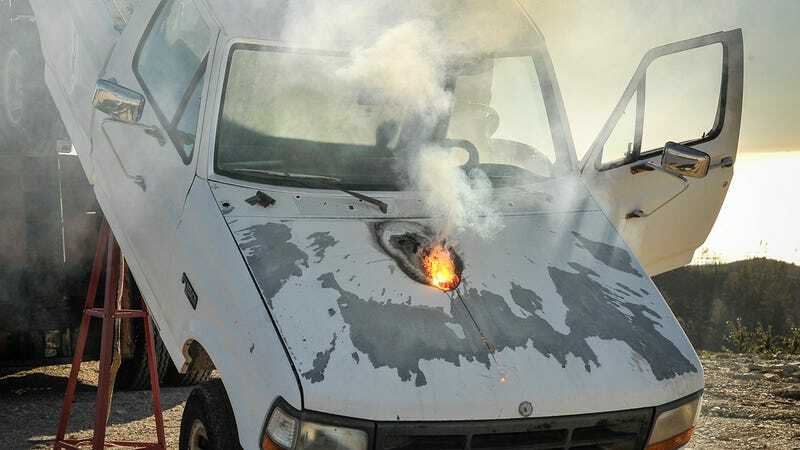 Lockheed Martin recently tested its new Advanced Test High Energy Asset (ATHENA) laser—not to be confused with the Navy's laser—on the Ford F-150 pictured above. The weapons system hit the truck's running engine from a mile away. The engine doesn't run any more.